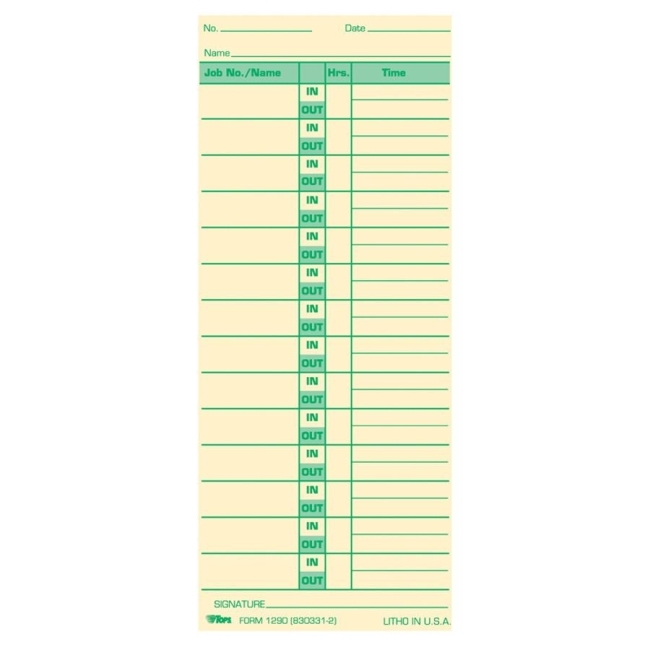 Time cards replace 331-20. Card lists job number and name. Extra-heavy material is made of 150 lb. manila stock. 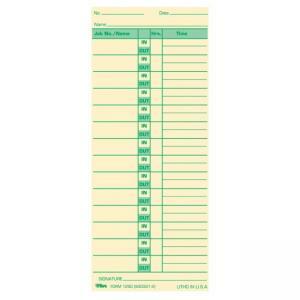 Time cards are designed for use with Pyramid 1290.